Since it’s high baetis season in Southwest Montana right now, I thought I’d share what I’d fish with during a baetis hatch if I could only have one fly: the Kebari (Tenkara) Baetis. The pattern is presented in the order of construction, and as typical of tenkara flies, is tied reverse-style. Tenkara methods allow this fly to be fished very effectively regardless of its position in the water column. 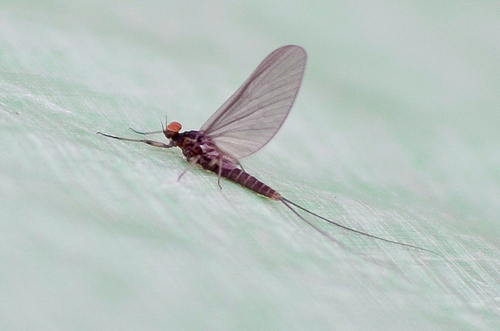 Baetis are dead drifting insects that aren’t as active as say, a caddisfly, so don’t impart a lot of action to the fly. Fish to risers in the surface film, dead drifted just underneath the surface, or fish deep as a nymph. The soft action of the starling feather gives the fly plenty of movement, the pheasant thorax presents the tell-tale wingcase bulge of the emerger, and the brown-and-gray coloring mimic the vast majority of coloration patterns of emerging baetis. Madison River baetis spp., April 2011, from Beartrap Canyon. Important: keep the fly sparse. The temptation when tying tenkara flies is to use lots of hackle and fat bodies. Less material means that the fly will sink better, giving you more options for fishing deep, as well as not hold a lot of water, which will allow you to fish it in the film after a false cast or two. 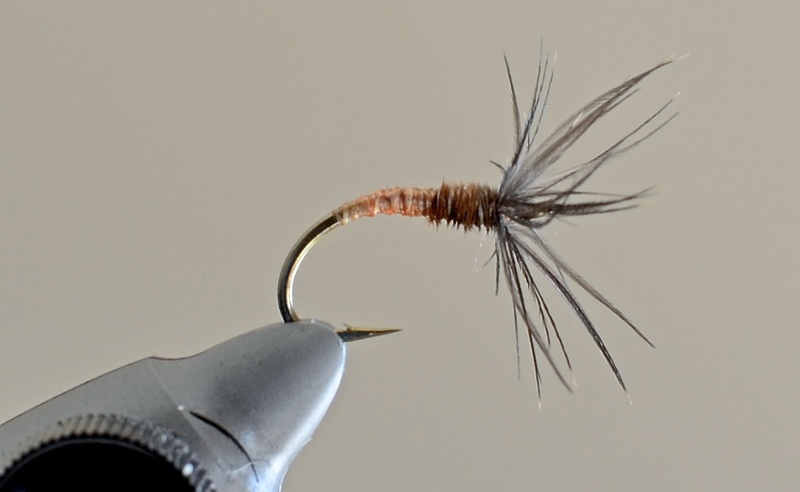 Adaptations: This pattern is easily adapted to other species of mayflies, simply by changing the thread and/or hackle color. I tie it in a pale morning dun version by using yellow silk and the softer feathers of naturally mottled ginger hen hackle. Ryan Jordan is a former commercial fly tyer and licensed fishing guide in the State of Montana and offers tenkara instruction and guided trips on the Madison, Missouri, Yellowstone, and other rivers. For more information, visit the tenkara fly fishing page. ← Are You Stealing Opportunity for Character Development From Your Scouts?